While most trade shows are good at generating foot traffic to go past your booth, do those feet belong to the right people? Are they your potential customers and, even more to the point, are they specifically seeking you out? This white paper is designed to help you maximize your trade show presence with a communications strategy that educates, excites and encourages your target audience to purposely seek you out and start a conversation. 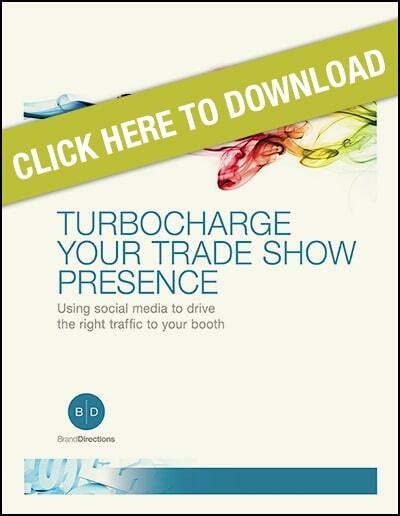 It explores how social media can turbocharge your trade show presence and drive the right traffic to your booth: those who are both interested in what it is you have to offer and have a desire to become your customer.